Fun new books for kids! This Kid’s Life is a booklet that focuses on how a child lives daily life in a different country, compared to how people live in North America. This particular book tracks the life of a boy named Louis who lives in the country of France. You can order this ebook from here. Also, I have a great new math book that your kids will surely enjoy. It’s called Math Puzzles – Volume 1. Are your students bored of doing the same old math problems? Try this book, filled with 6 different types of math puzzles. Draw the Fraction – Use your imagination and draw a picture representation of the fractions you encounter at home, at school or outside. Math Number Search – Solve some addition and subtraction problems, then search for them in a grid full of numbers. All graphics are originals and designed by myself. You can buy this book here. Now that I have almost 100 products for sale, I find it more and more difficult to list them all on this website. I decided to put them on Teachers Notebook as well as here. If you want an easier way to look at all of my products, take a look at my new store. I have Spanish, French, Math, Social Studies and Writing books for all seasons, holidays and other themes. 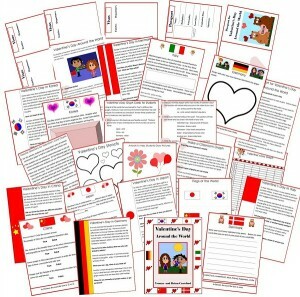 There are 28 pages filled with activities for your students. 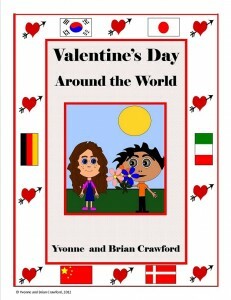 My children enjoyed learning about how other countries in the world celebrated Valentine’s Day. They really loved the page on Korea since Korea has a ‘love-type’ day on the 14th of every month. They thought that was really neat. With this booklet your class will visit six countries: Japan, China, Germany, Italy, Denmark and, as I stated before, my children’s favorite: Korea. Your students can keep track of their travels with their own passports, with flags that they can paste inside for each country that they “visit”. 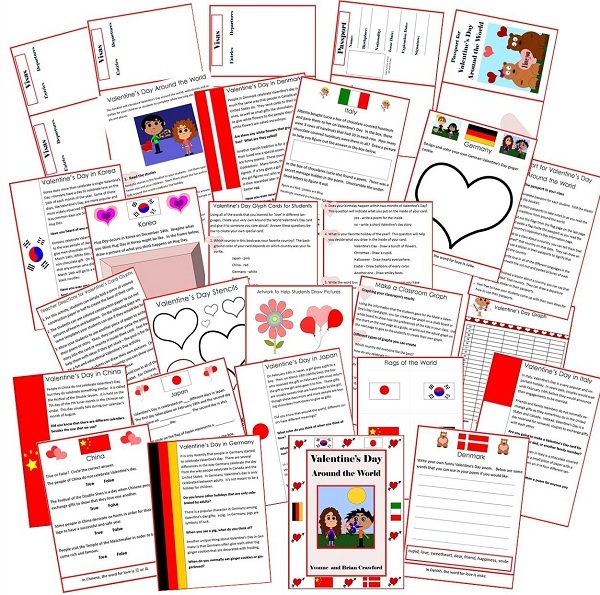 After each country has been studied, students can complete an activity sheet for that country. The unit concludes with a Valentine’s Day card glyph and a bar graph to chart the class’s results. You can even do what we did for our Valentine’s Day card glyphs. Instead of them giving them to a parent or loved one, we sent them to a Ronald McDonald’s House with the hope that the families there will get a little smile from receiving the cards. If you don’t have a Ronald McDonald’s House near you, you can send your cards to a children’s hospital or you can leave me a comment and I can give you the address of a Ronald McDonald’s House that is accepting Valentine’s Day Cards in North Carolina, where we are sending our cards. If you’d like to purchase this product you can do so at my Teachers Pay Teachers store. 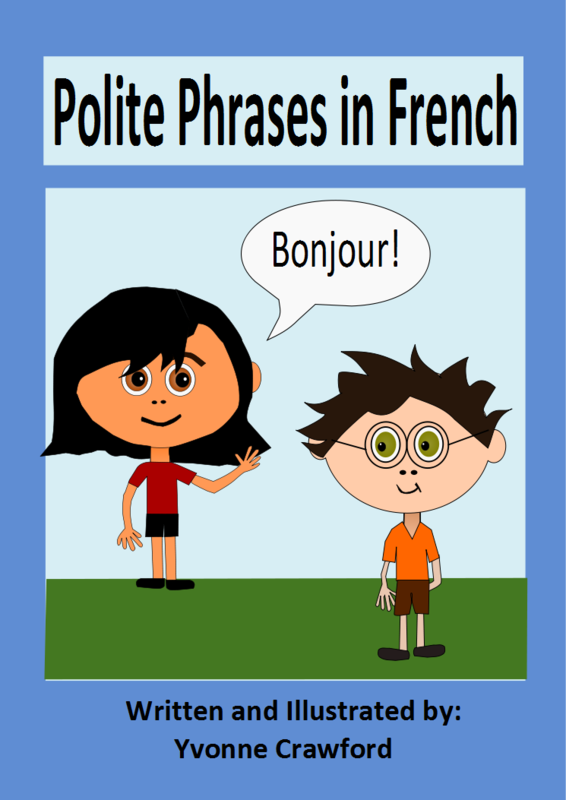 Are you interested in buying more than just a few sets of my French (or Spanish) ebooks? Email me which ones you want and I can quote you a discounted price. 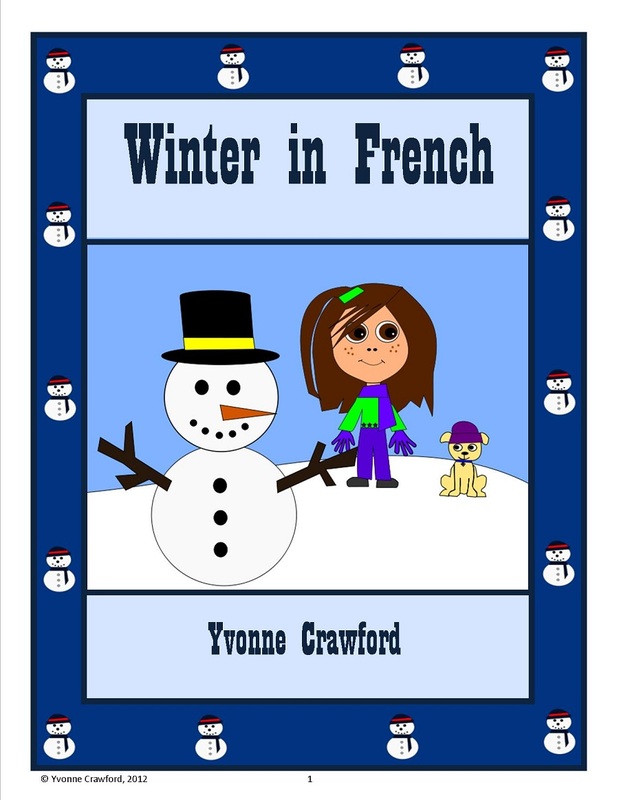 Winter in French is a booklet that focuses on the names of different winter items in French like coat, it’s cold, etc. All artwork is original and created by myself.